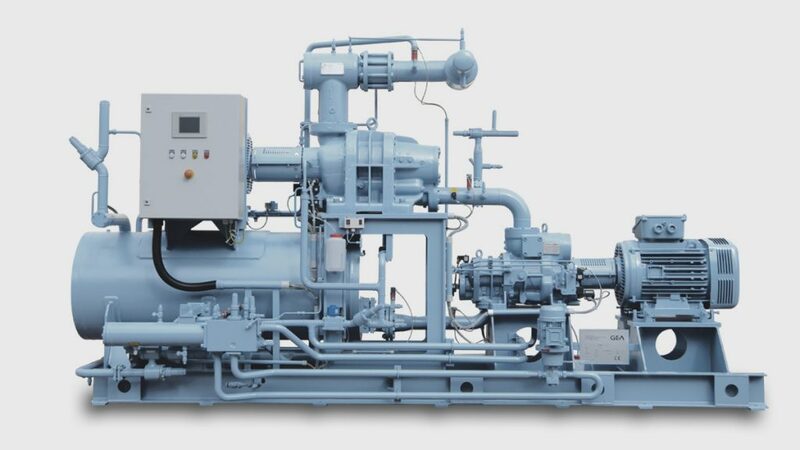 Southern Sales & Services offer GEA Grasso screw compressor packages whether it’s in the food industry, chemical industry, in offices or in shipping, they all need refrigeration. GEA Refrigeration Technologies has the optimal cooling and air conditioning solutions for your individual requirements. We place particular value on energy efficiency, reliability, cost effectiveness and sustainability. 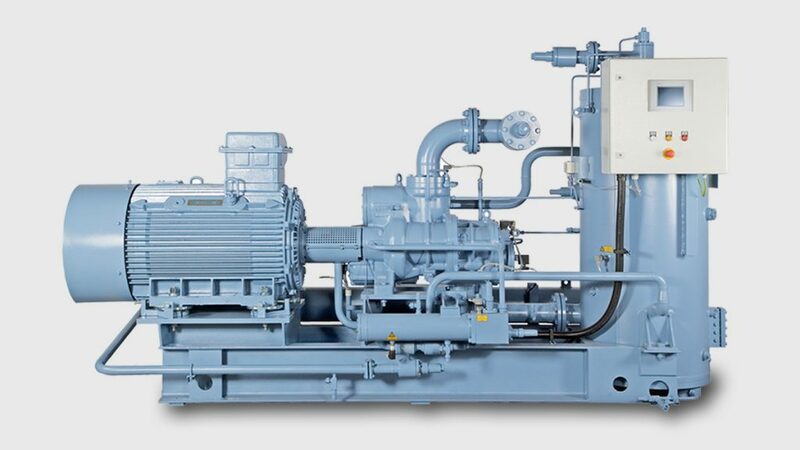 The high reliability and long life of our GEA FES and GEA Grasso screw compressor packages is the result of fifty years’ experience in compressor technology. Everything began with a series of single stage packages. Today we produce four models with more than 50 different package sizes. They are suitable for the operation with natural and all other common refrigerants. Next to our standard models we also produce tailor-made solutions for customer specific needs. 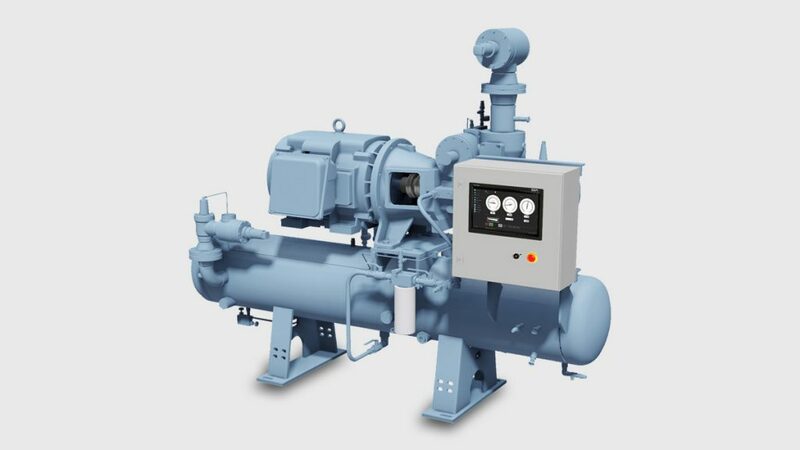 The GMX series is available in 4 models, 50 – 300 HP, utilizing various refrigerants including R-717, R-22, R-507, R-134A, R-744 and others. 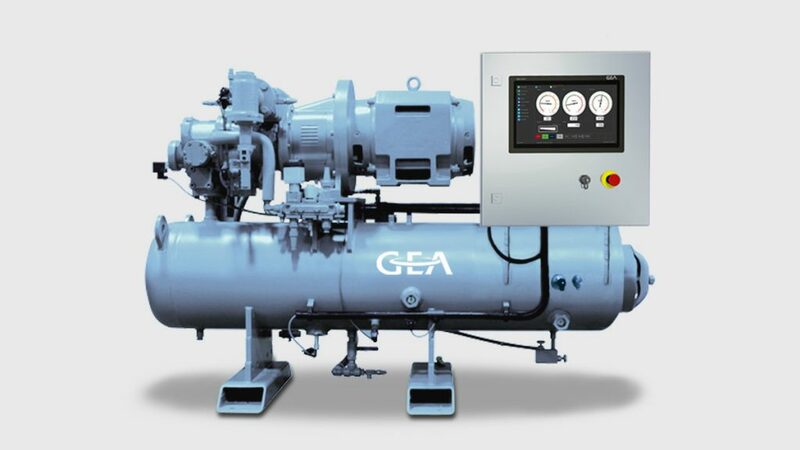 GEA Grasso M series package is the new range of GEA screw compressor packages. 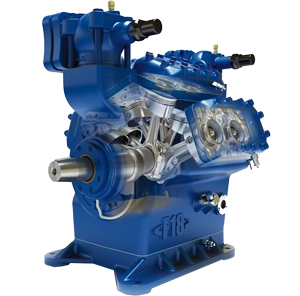 Thanks to their new engineering design and the reduced complexity of their components, these new models combine reliability and ease of servicing with even greater efficiency. 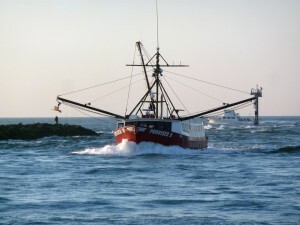 These characteristics – with the resulting significant reduction of total costs over their entire life cycle – have exceptionally positive effects on their cost effectiveness. 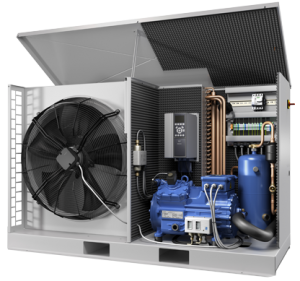 The GS series is available in 4 models, 25 – 150 HP, utilizing various refrigerants including R-717, R-22, R-507, R-134A, R-744 and others. 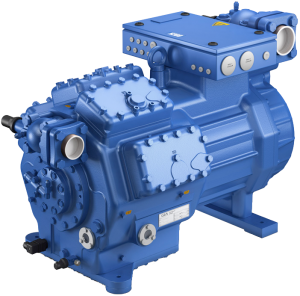 The single-stage screw packages of the GEA Grasso SP1 series include 22 package sizes with a capacity range of 130 to 5,700 kW. The smaller size models feature a larger integration level of components and thus a smaller amount of connecting elements. The packages in the bigger capacity area are fitted onto a separate base frame, which ensures running with less noise and vibration. The GEA Grasso SP2 series with 18 package sizes covers a capacity range from 135 to 2,100 kW. The two-stage screw packages are designed for the production of higher pressure conditions. 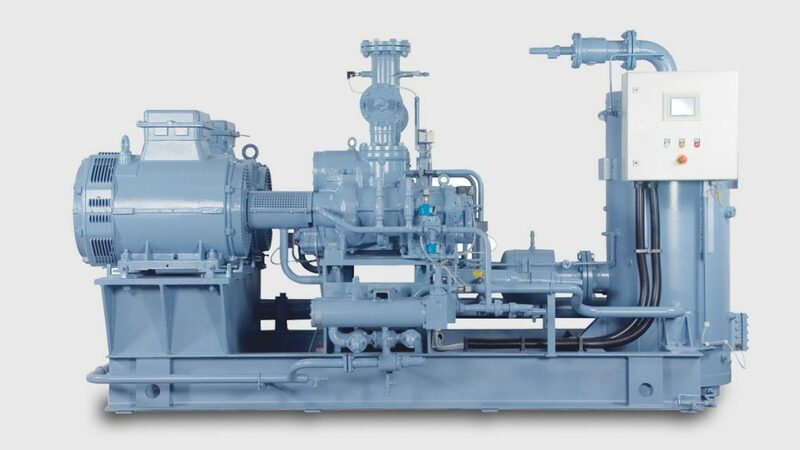 They consist of two serially mounted compressors for the low- and highpressure side. 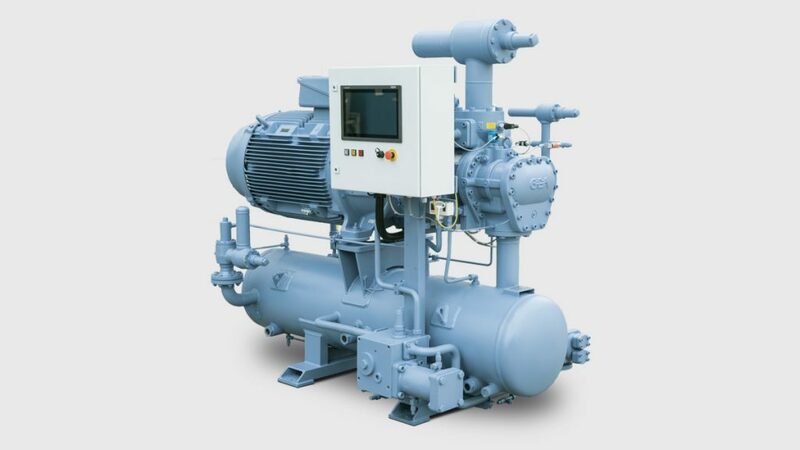 Depending on the required cooling capacity on a medium pressure level, various high pressure compressors can be combined with the basic unit. This leads to a considerable increase in the cooling capacity. 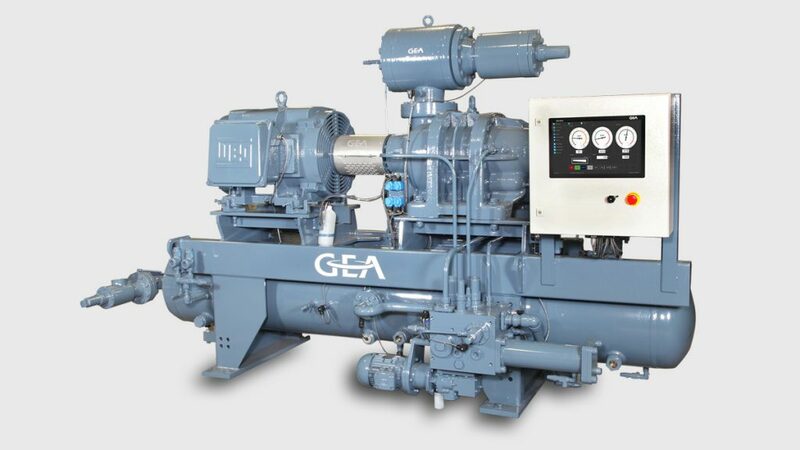 The GEA Grasso SPduo series covers a capacity range from 250 to 3,200 kW. 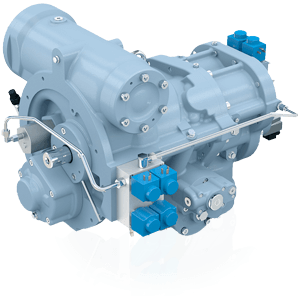 The screw packages stand out for their compact design with two parallel mounted compressors on a common base frame and a single oil circulation. 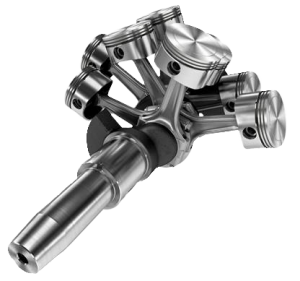 As a result, they are distinguished by a very good part-load efficiency and are ideally suited for short-term top-level loads.